agsbeagle Store. 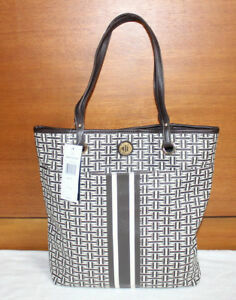 All Tommy Hilfiger Bags are 100% authentic, brand new with tags. They are sourced directly from Tommy Hilfiger stores and outlets in the USA. · Coated vinyl body with faux leather trims and handles.